It would be difficult to pinpoint a year that Walter began his involvement with the sport of curling. He played the game competitively for many years in Men’s, Senior’s and Master’s competitions and even originated and sponsored his own spiel, the Walter Ortt Classic. In 1991, Walter won his own Bonspiel. Besides competing, Walter was a regular Grenfell Curling Club volunteer. He served on many committees over many years. The annual Junior Curling Program to encourage involvement in the sport, special club events, member of the curling club Board, President of the Board and many others. He served as an SCA Region 5 District Coordinator for 6 years and Region Director for 14 years. In 1983/84, Walter served as President of the SCA. Walter is a Life Member of the SCA and a Past Patron. 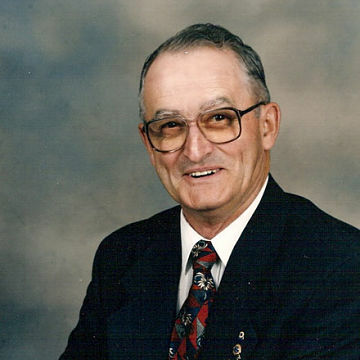 In 1988 Walter received the Canadian Curling Association’s Award of Merit and in 1996, Walter was inducted into the Saskatchewan Rural Sports Hall of Fame in Indian Head. In 2004, Walter helped originate and establish, along with SCA Past President Tom Naylen, the SCA Legends of Curling Honour Roll. As a Legacy of the SCA’s 100th Anniversary, the Legends Committee will continue for years to come. Walter continued to sit on the Legends Committee up to his passing in April of 2007. Walter was a perfect example of the type of person that the Legends Committee wanted to recognize. In 2008, in Walter’s honour, the SCA Awards Committee introduced the Walter Ortt Volunteer Recognition Award that recognizes exceptional curling club volunteers.